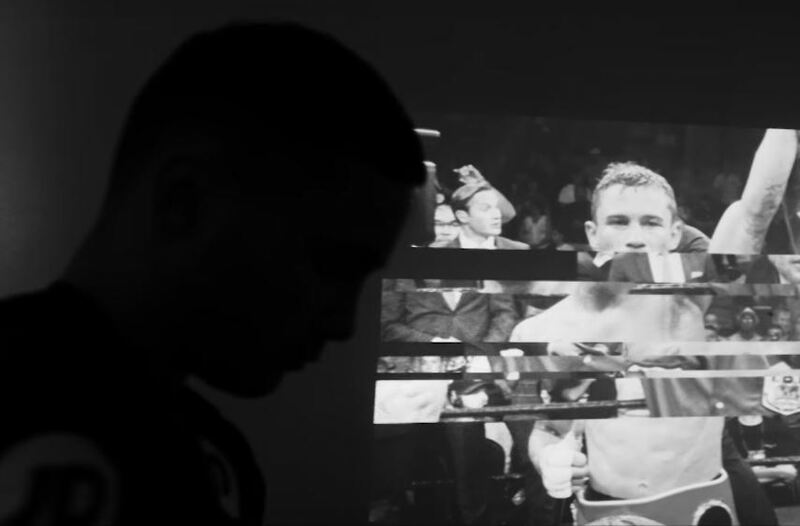 This new Carl Frampton video might get the goosebumps going in some as the Irish boxing star bids to bounce back from his first defeat. In many ways ‘The Jackal’ won’t just be looking to bounce back from the first loss of his career at the start of the year to Mexican Leo Santa Cruz. He’ll be looking to start a fresh chapter all together in his career. With a new promoter and European management team added to his American team, Frampton is looking to ignite the final part of his career on November 18th at the SSE Arena first with a bout against Horacio Garcia of Mexico. It will be the first fight for Frampton under management team MTK Global and promoter Frank Warren. A lot has happened for Frampton since his loss to Santa Cruz earlier this year. A split from his old promoter and long time mentor in the pro ranks Barry McGuigan for one, as well as a freak accident to a scheduled opponent causing a fight to fall out a couple of months back. Yes, Frampton will be happy to be back in the ring and back to work, no doubt. This new Carl Frampton video brought out by BoxNation YouTube (hat tip) sets the scene brilliantly – as Frampton looks to conclude the final stretch over the coming years of what’s been a special journey so far – new video available here on YouTube.